Maritzburg United’s Nedbank Cup campaign was cut short when they lost 2-1 to MP Black Aces in Nelspruit on Wednesday night. There were early chances for both sides as Virgil Vries made an outstanding save to deny Collins Mbesuma before Thami Mkhize had his effort cleared off the Aces line. Lehlohonolo Nonyane opened the scoring for the hosts with a well taken free kick from the edge of the box after 27 minutes. The Team of Choice had chances through Mondli Cele and then De Jongh and Zulu after the break, but could not get on the score-sheet. Instead it was Aces who were to double their lead on 60 minutes through a Dino Ndlovu goal. 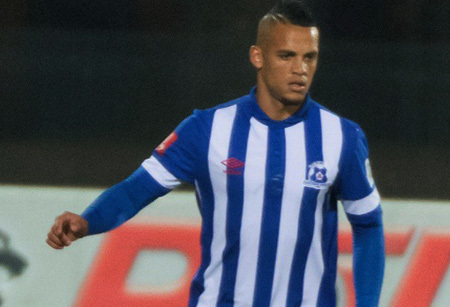 Maritzburg were given a glimmer of hope in the 75th minute when Mohamed Anas kept up his good scoring record of late to reduce the deficit to one. Buoyed by the goal, the Team of Chocie pushed hard for an equalizer in an exciting final 10 minutes, but could not find their way past a resilient home defence. The PMB side ended the match with 10 men after Ryan De Jongh picked up a second yellow card five minutes from time.